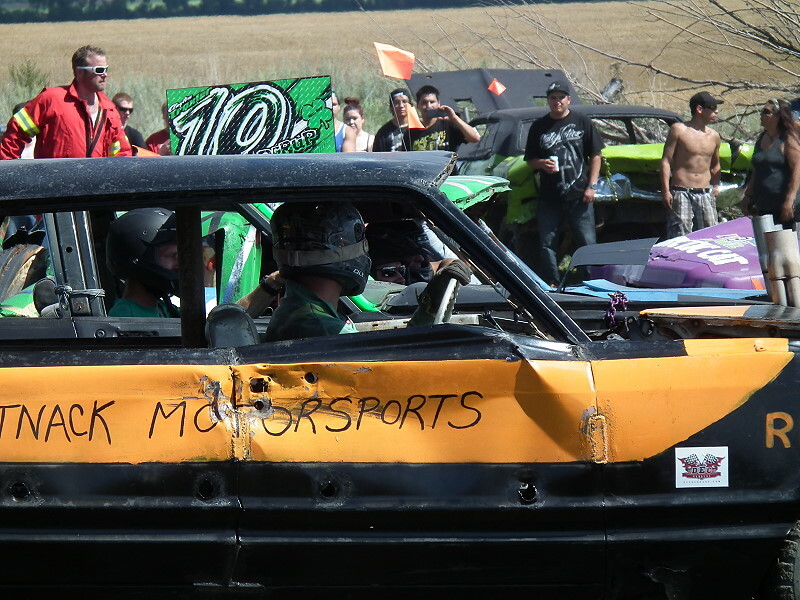 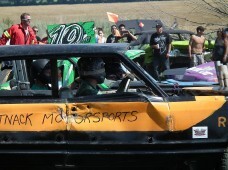 The 17th Annual Durban Demo Derby took place on Sunday, August 9, 2015. 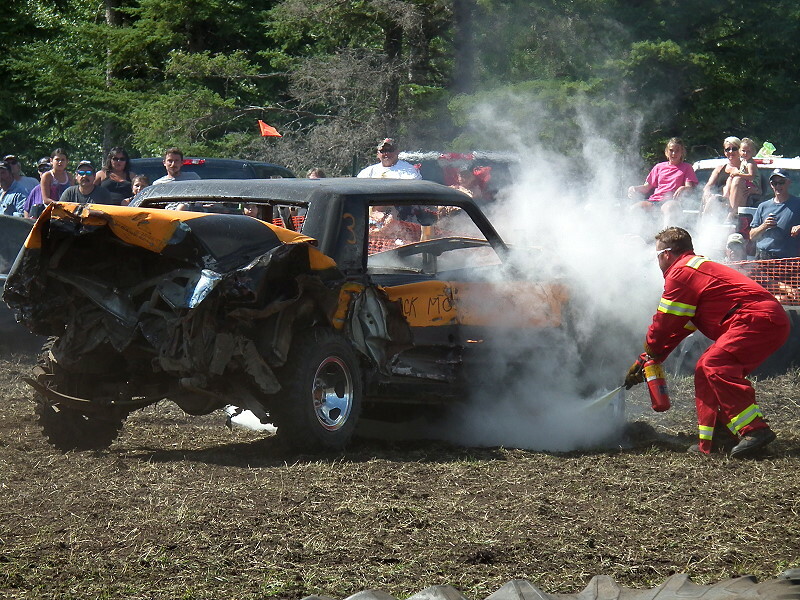 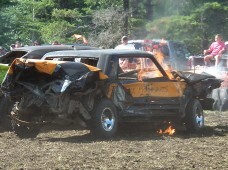 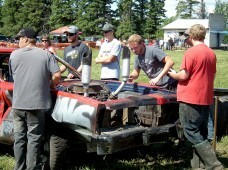 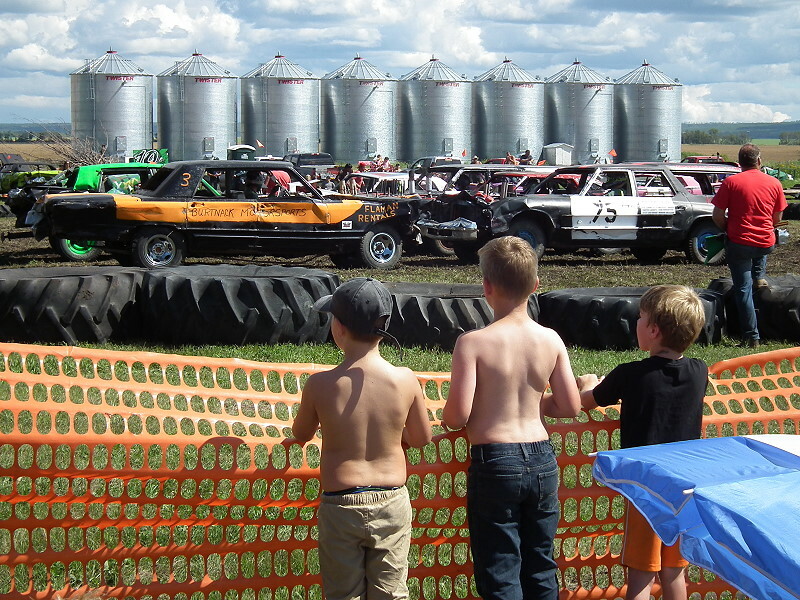 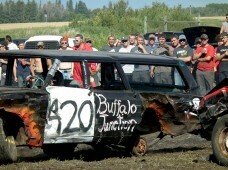 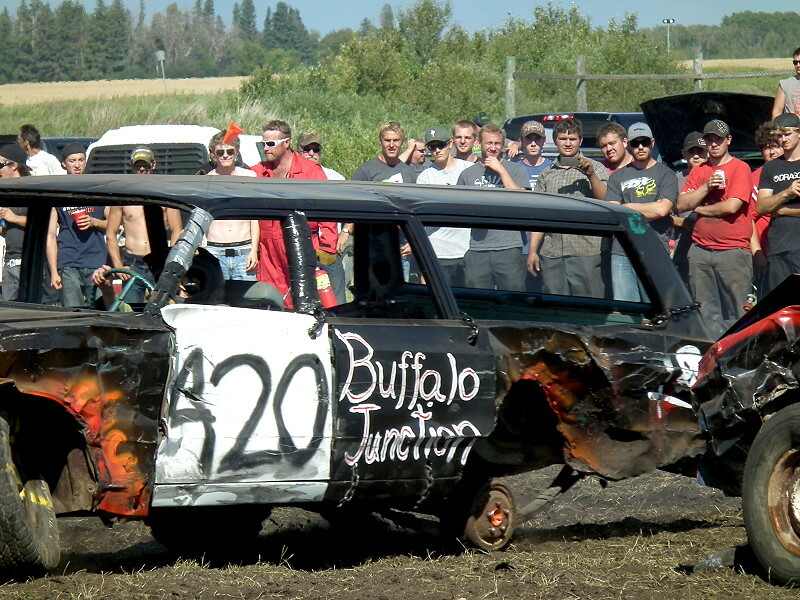 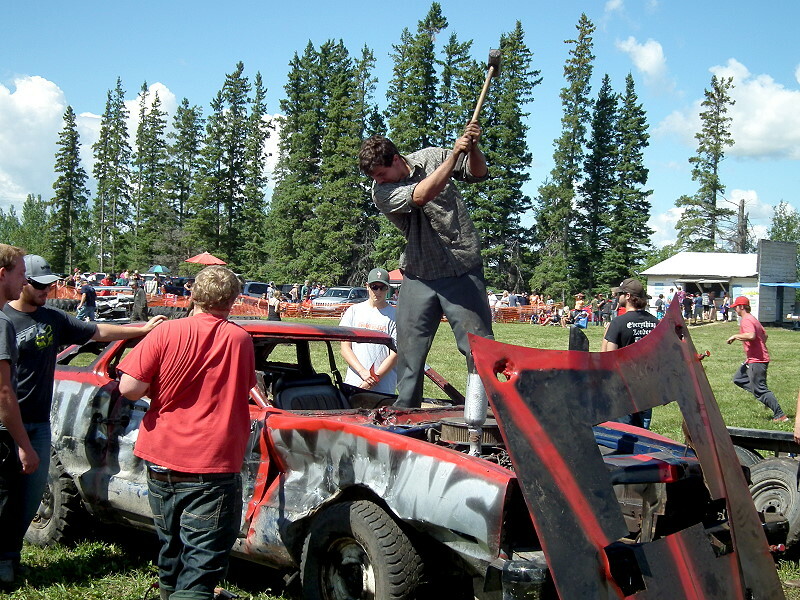 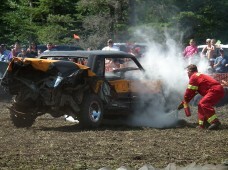 Roaring engines, spinning tires, flying mud and mangled metal are the ingredients for a good, old fashioned smashup, and fun for spectators of all ages. 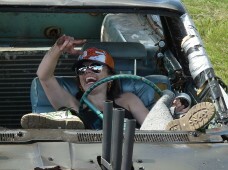 Time between heats was spent on “precision” bodywork or just chillin’ out. 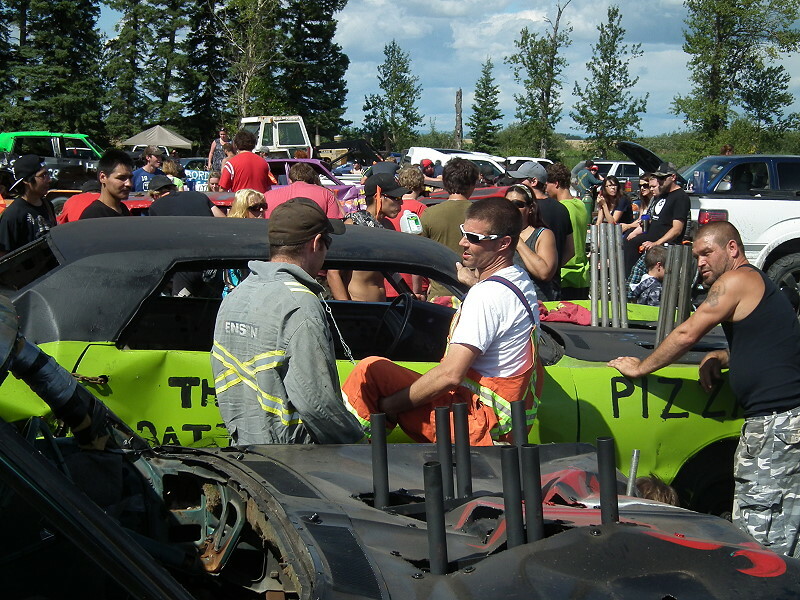 When things got a little too hot, the fire crew stepped in to cool things off. 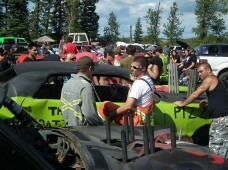 Fans gather to witness the guts, glory and a whole lot of destruction. 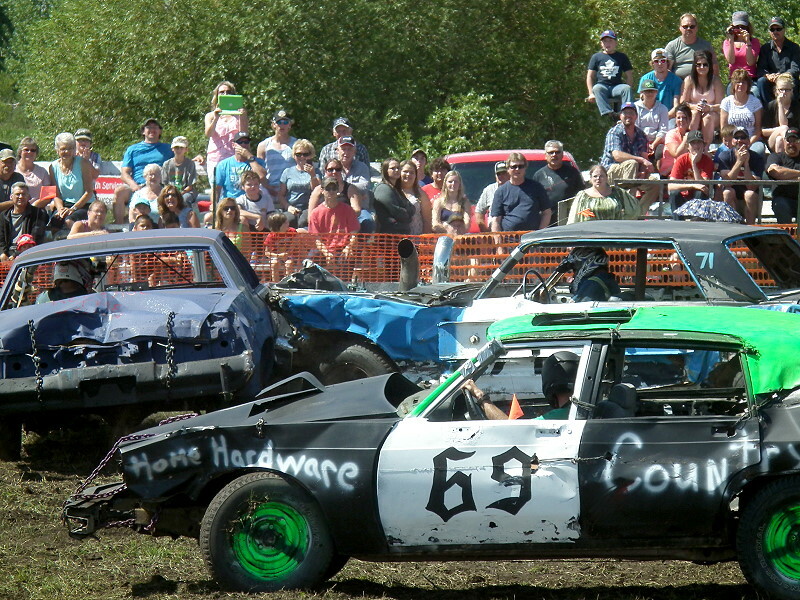 When the dust settled and the last tire fell off, Dale Hay was the winner of the Grand Challenge with Patti Bresky taking top spot in the powder puff.